Our Events Ed Cox & E-Coli Gorilla Tactics 4th Birthday! 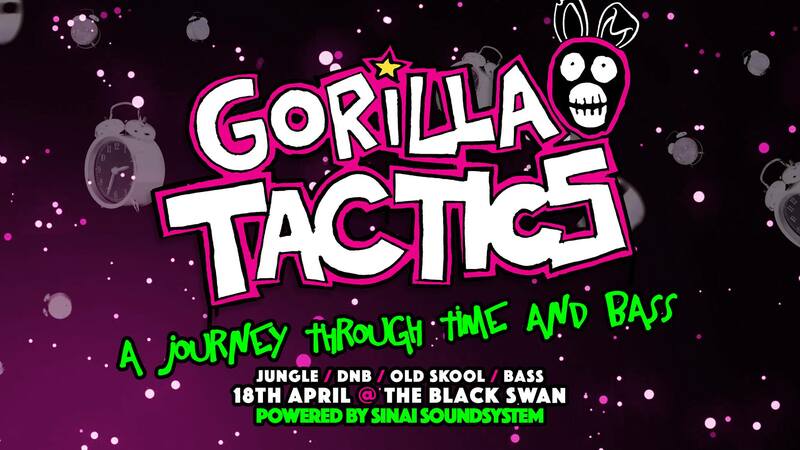 Ed Cox & E-Coli Gorilla Tactics 4th Birthday! Thursday 18th April – Easter weekend / bank holiday Friday and it’s our bladdy 4th birthday!!!! We will be taking you on a journey through time + bass on Feb 1st… Old skool legends, rising stars & space age decor. Advance booking highly recommended – last years Northern Invasion sold out on the door.